Russia's most powerful entertainment producers and distributors have written to Yandex, the country's leading search provider, demanding the removal of 'pirate' sites from search results. The letter, signed by movie, music, and TV bosses, demands both detection and deletion of content. According to one of the signatories, Google will receive the same letter. With the online piracy wars about to enter their third decade, there’s an increasing emphasis on pressurizing influential third-parties to tackle the problem. As a result, much blame is laid at the feet of companies like Google, who are regularly blamed for not doing more to tackle infringements carried out by individuals and entities outside of their control. Search results are a particularly sticky subject. 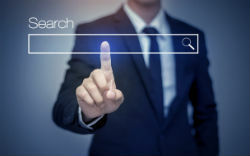 Google, Bing, and Yahoo, for example, wish to provide the most comprehensive indexes possible. On the flip side, entertainment industry companies insist that those indexes shouldn’t help people find pirated content. If they do, it’s argued that these companies act as piracy facilitators. This familiar battle is now underway in Russia, where Yandex is in receipt of a strongly-worded letter which accuses the search giant of being a big part of the piracy problem. According to local publication Vedomosti, the letter is signed by Leonid Agronov, general director of the National Federation of the Music Industry, Alexei Byrdin, general director of the Internet Video Association, Sergei Selyanov, director of the Association of Film and Television Producers, and Pavel Stepanov, president of the Media Communication Union. The entertainment giants explain that due to ‘pirate’ search results appearing in its indexes, Yandex is contributing to the growth of online piracy. They want the company to show responsibility by adopting measures to both find and remove infringing links from search and related products. “We urge Yandex to use all available methods to detect illegal content and eliminate it both from search results and from the applications and services of Yandex,” the letter reads. It’s suggested that Yandex should take a similar path to that taken by search companies in the UK, via the signing of a Memorandum of Understanding which declares common interests in fighting piracy. Yandex won’t be alone, however. A spokesman for the Media and Communications Union, which is one of the groups behind the letter, told Vedomosti that a similar letter would be sent to Google in the near future. Needless to say, Google is no stranger to these kinds of allegations, whether in Europe or the United States. In the letter, search engines like Yandex are accused of promoting illegal resources over legal content, resulting in revenue being siphoned away from legitimate players and into the hands of criminals. The search engine is also accused of taking down material in response to demands under the DMCA, but not doing enough in Russia. “Yandex actively cooperates with copyright holders and is working to improve the culture of legal content consumption,” the company said in a statement, adding that it actually stands to benefit from ads promoting sales of non-infringing content. “Yandex stands for an honest Internet, in which quality legal content is available to the user and rightsholders earn from that legitimate consumption,” the company said. Unlike in the United States under the DMCA, content isn’t as readily taken down in Russia. Yandex also opposes filtering search results, warning that the system is easily abused by rightsholders and others looking to stifle competition. That being said, Yandex says that rightsholders are welcome to take advantage of the local site-blocking mechanism which tackles both source sites and their mirrors. With these inaccessible, ‘pirate’ search results become useless.